Rambus validated the interoperability of its DDR4 PHY and the Arm CoreLink DMC-620 Dynamic Memory Controller, which is a fast, single-port Coherent Hub Interface (CHI) for transferring data from its CoreLink CMN-600 (Coherent Mesh Network) to the Rambus DDR4 memory PHY. Together, these IP blocks offer speeds of up to 3200 Mbps, the highest performance memory speed available on the market. Both are DFI 4.0 compliant, allowing the PHY and memory controller to interoperate. Finisar introduced a new hardware-configurable feature for wavelength-tunable optical transceivers that is designed to simplify the deployment of Remote PHY access networks constructed by Multiple System Operators (MSOs). The Finisar Flextune feature allows up to 96 wavelength-tunable optical transceivers in a Remote PHY network to self-configure their wavelengths to operate over the DWDM infrastructure without input from the host equipment nor intervention from technicians. 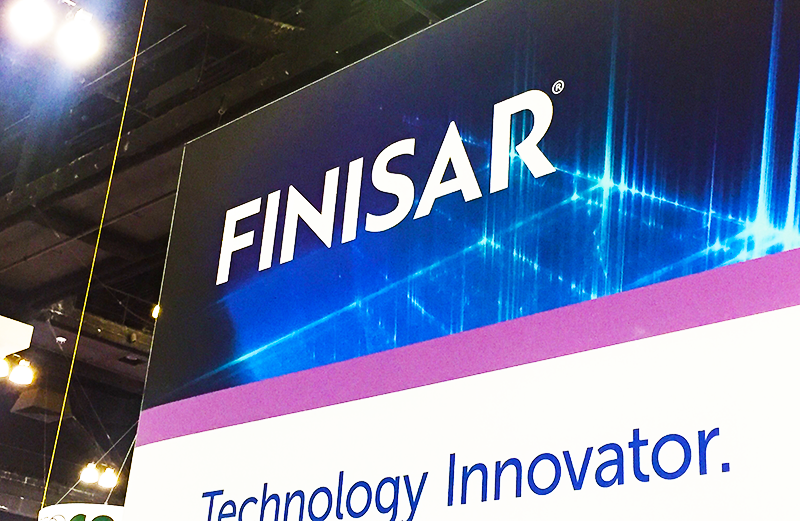 The feature will be supported on Finisar's 10 Gb/s wavelength-tunable duplex and dual-band bidirectional (BiDi) transceivers. modules. Flextune capability reduces configuration time of the transceivers for a link from hours to minutes. In addition, it simplifies installations because technicians do not have to trace fibers from the optical multiplexer to the Remote PHY nodes, which could be a distance of 2km or longer." Finisar's recently-launched, tunable dual-band BiDi SFP+ transceiver, which supports this new Flextune feature, fits a pair of wavelengths into each port of standard 100GHz DWDM multiplexers and de-multiplexers, enabling 80 wavelengths to be deployed over existing 40-wavelength DWDM networks, increasing the data capacity from 200 Gb/s to 400 Gb/s in each direction over a single fiber without replacing the entire infrastructure. Because it only has one optical connection for the pair of wavelengths, the BiDi transceiver also reduces the number of fiber optic patch cables by a factor of two, simplifying installation and saving space. Quantenna Communications began sampling the first chipset for 802.11ax mesh repeater networks based on the newest Wi-Fi specification. The chipset combines three 4x4 802.11ax radios and integrated CPU cores for optimal mesh repeating functionality and full-duplex operation, which avoids interfering with a home gateway by using a different radio frequency. Embedded CPUs provide full Access Point (AP) and bridging functionality. NTT has developed a technology its calling “cooperative wireless LAN with distributed smart antenna system (D-SAS)” to improve connectivity in high-density environments such as sports stadiums. The technology consists of two key functions: one performs centralized radio resource management by taking information about the surrounding radio environment into consideration; the second optimizes parameters dynamically with the aid of the first function so that the interference is reduced at each AP. NTT has tested the technology at NACK5 stadium in Omiya, Japan with the deployment of about 150 APs under stadium seats. All 11 channels available on the 5.47-5.725 GHz band (i.e., the W56 band) were used and the channel bandwidths of all APs were 20 MHz in both settings. NTT said its testing showed that its cooperative wireless LAN technology with D-SAS achieved throughput twice than that obtained with the conventional technology.